Yum. This place reminded my why I love Northeast Minneapolis. 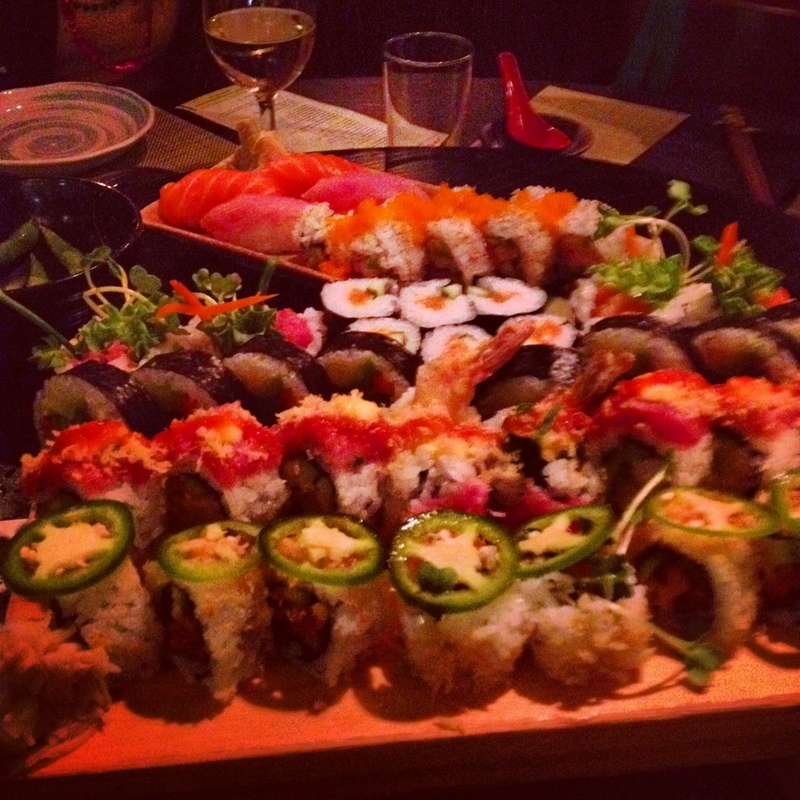 Masu has a great late night happy hour and great food on that happy hour menu. All the rolls that you see above were from that menu. Plus, parking is free after 10PM. Right when the late night happy hour starts, coincidence, I think not. You do need to sit in the bar area if you want to take part in the drink specials. Otherwise if you are just there for the food, you can sit in the restaurant and pay full price for any drinks. My favorite item at Masu that night was the roll topped with a jalapeno, I took the jalapeno off because they are a little too hot for me and just ate the roll. It was not too spicy but flavorful. Their California roll is the best that I have had at a Minneapolis restaurant so far. This roll sometimes is done cheaply and sloppy because usually people who order these don’t know much about sushi. This one had real crab in it. Not that imitation crap. I also liked the edamame it was salted and cooked correctly. I could have eaten an entire bowl by myself. 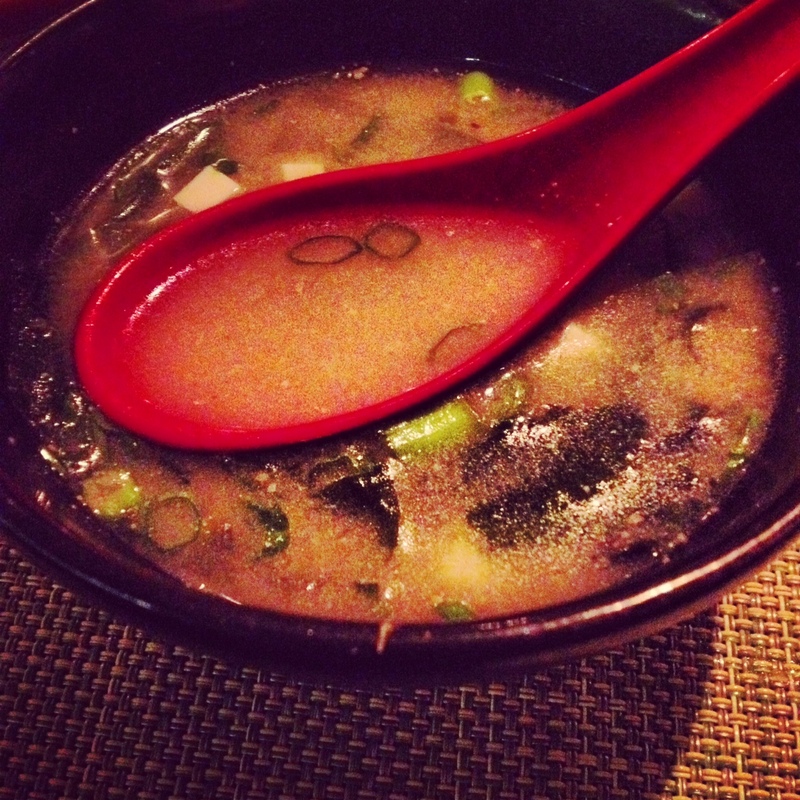 Next time I think I will skip the Miso Soup just because I didn’t need it with all the other items on the menu. I also would skip the Nigiri because it was really hard to eat and fell apart. It was awkward to eat at a table full of people watching you struggle. This place fills you up which makes it hard to try many things on the menu. There was so much more that looked interesting that I wanted to try. It gives me a great excuse to go back. Masu has a great atmosphere with some odd art on the walls that adds to its charm. We also had great service and a server who explained to us what we didn’t know about the menus. It was helpful and not overbearing. I am excited to go to the new location in Mall of America. If you go there try the plum sparkling tea. It is non-alcoholic and out of this world.